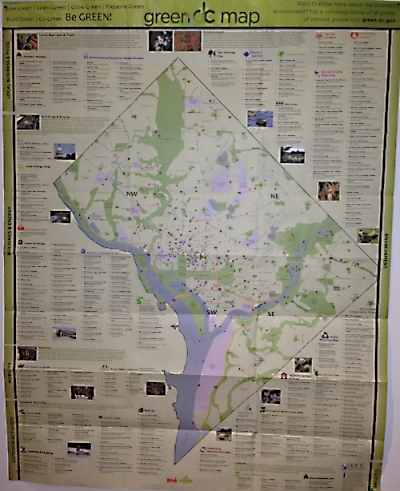 The Washington DC Urban Ecology Map was completed in 2002. 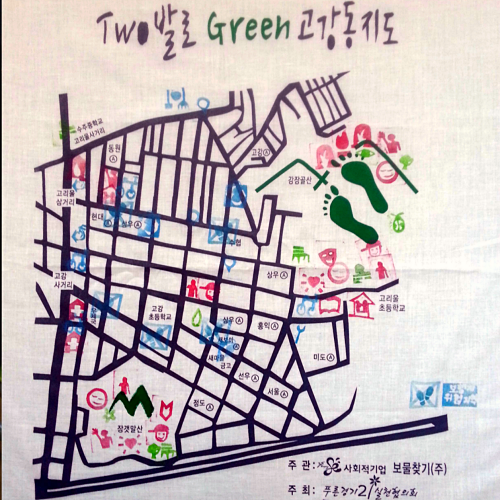 This was the first Green Map that overlaid economic data and Green Map sites (including areas of challenges). 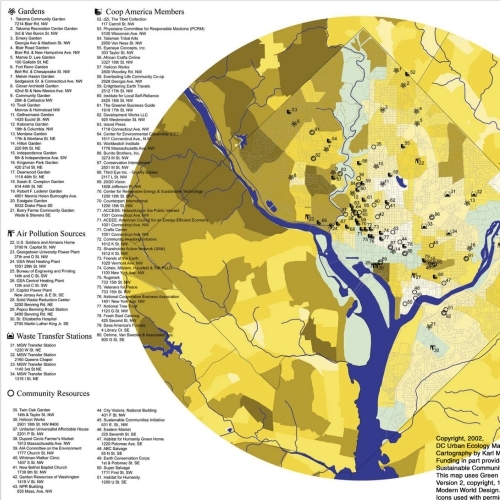 Thus it became an important environmental justice map in which it easy to see which neighborhoods were being most heavily polluted at that time. 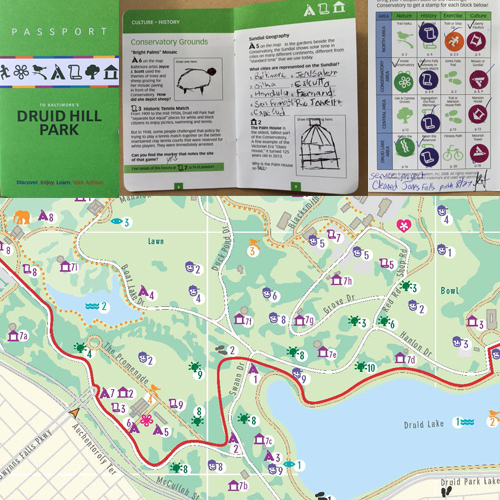 The map contributed in a positive way by making the problems more visible and actionable - download it here! 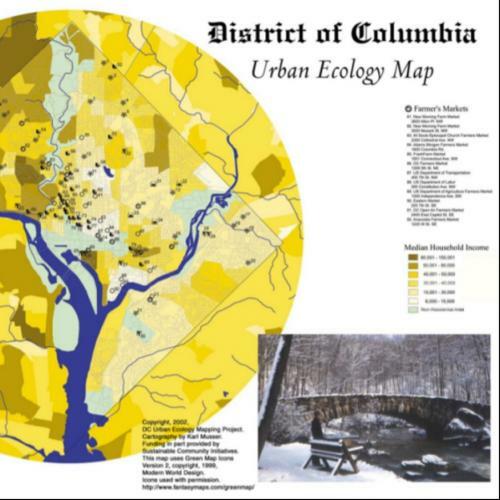 This project was made with Karl Musser's GIS skills and Larry Martin's research and design skills and the preliminary version of the Washington DC Urban Ecology went to press in Autumn 2000. You can see it online and also read about plans that were made to expand the effort and involve more community members. 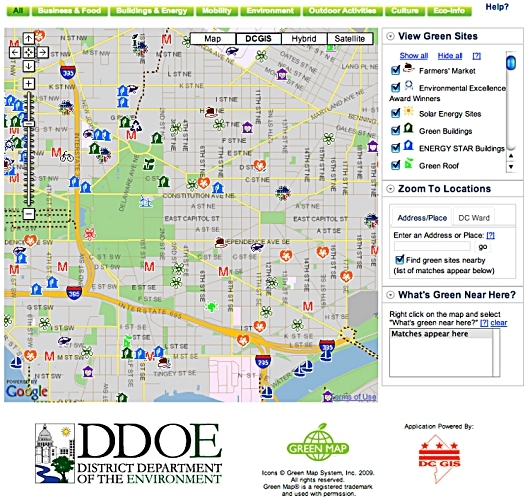 The Washington DC Urban Ecology map features 92 sites, including Gardens, Air Pollution Sources, Waste Transfer Stations, and Farmer’s Markets and more! 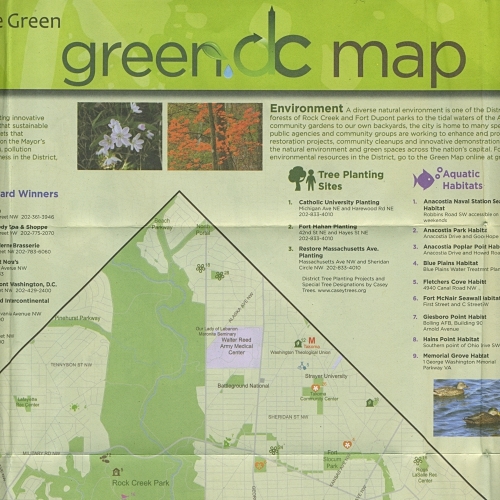 The second DC Map project was led by the District Department of the Environment, which is the lead environmental agency for Washington DC. It featured the Anacostia River and how climate change impacts this delta district. Award winning green buildings and businesses, plus many other green living resources made this a popular Green Map. Both printed and interactive (currently offline) editions were produced.